Here's an update on that animation I talked about a while ago. This is the finished rough layer. I've found I've been slightly adjusting timing and poses as I clean up, but this is what I've been working off. O, and don't worry. They aren't nekid or bald. Details like that come in the Cleanup stage. I must admit that I cheated a bit in that I started cleaning up before the last part of this was roughed out. And as it is I've deliberately put in blank keyframes near the end because a) I find doing too many in-betweens in the rough stage leads to disasters of my own doing; and b) leaving them as holds makes the flickering clash with the other character layer. I've been slowly working on this since between Christmas and New Years, and am liking my progress. 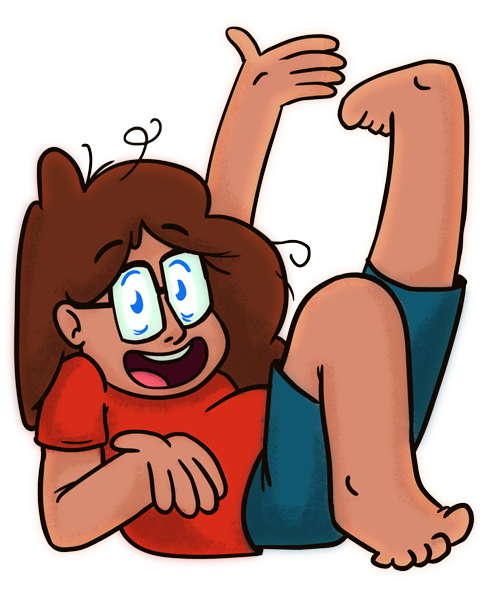 I've cleaned-up the key poses up to the bit where the girl is thrown upwards, and've already discovered some things I'll need to work on in the future. Proportions being the main one. Looking good, personally I would leave it on twos. I have always been told that twos have a little more bite to their timing. That said you can always start the move (around the 7 second mark) on ones and then change over to twos in the action. Very fast or very smooth on ones. That said it is looking great!